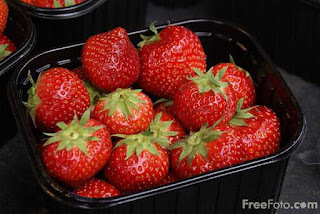 June 9th is... Donald Duck Day, National Strawberry-Rhubarb Pie Day, World APS Day, International Archives Day, Toy Industry Day, Writers' Rights Day! -- From the Disney Vaults! The early Donald Duck daily strips are collected for the first time ever! The daily newspaper comics premiered on February 7, 1938, and within eight weeks became the all-time fastest growing syndicated comic strip in the world. 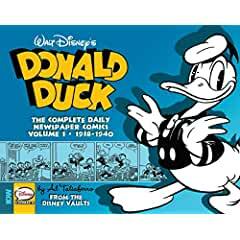 Includes more than 750 sequential daily comic strips from 1938 to 1940 drawn by Al Taliaferro and written by Bob Karp, and reproduced from pristine original material in the Disney Vaults! • Donald Duck Book Cover ~ Cute Craft Idea!